We recommend use of BCC Lens Flare 3D instead of the older BCC Lens Flare effect. 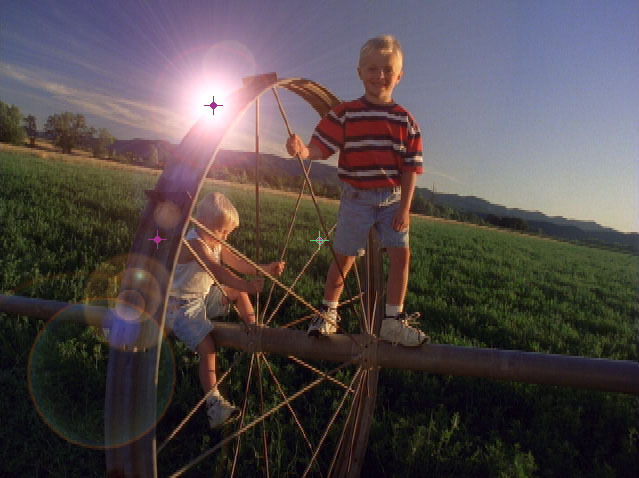 The newer BCC Lens Flare 3D offers a far richer set of controls, comes with an extensive preset library, and is also fully GPU accelerated using OpenGL. 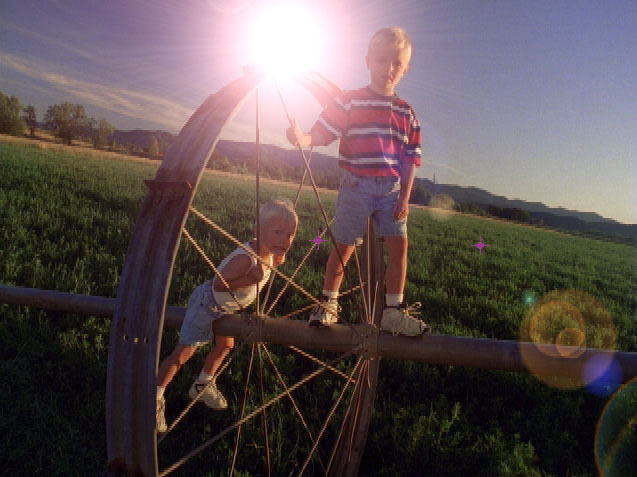 The BCC Lens Flare simulates a lens flare-that is, streaks and spots of light on film caused by light bouncing inside a camera lens. 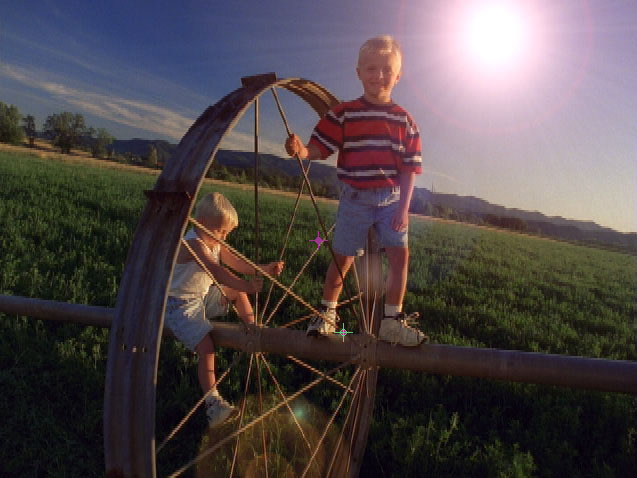 Lens flare is typically produced when you point a camera too close to the sun. You can also use this filter to produce a range of creative effects. Composite the flare over a source image or generate a completely synthetic image. Global Intensity controls the brightness of all elements of the lens flare. Global Scale controls the scale of all elements of the lens flare. Light Source sets the location on the X and Y axis of the simulated light source which creates the flare. The glow section of the flare is always centered around the Light Source. Pivot Point controls the location of the other elements of the flare. All the elements appear centered on a line from the Light Source to the Pivot Point. The Light Source in the following examples stays the same while the Pivot Point changes. 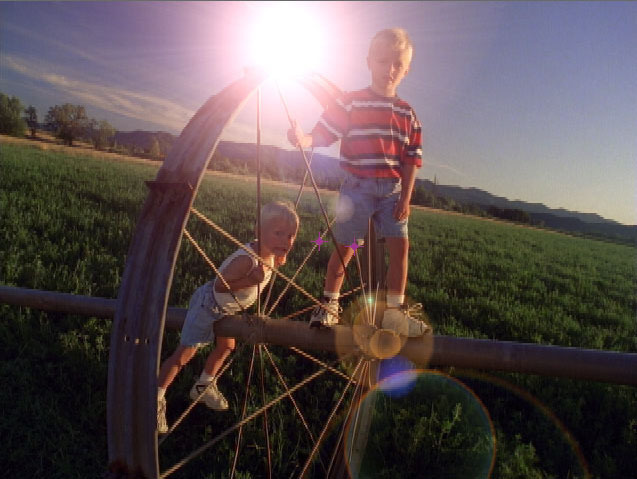 Color sets the color of the lens flare effect. When you work with the BCC Lens Flare Advanced filter, each element of the flare effect includes its own color control. The Lens Type menu sets the type of lens flare that is created, based on commonly used camera lens. The choices are 50-300mm Zoom, 35mm Prime and 105mm Prime. 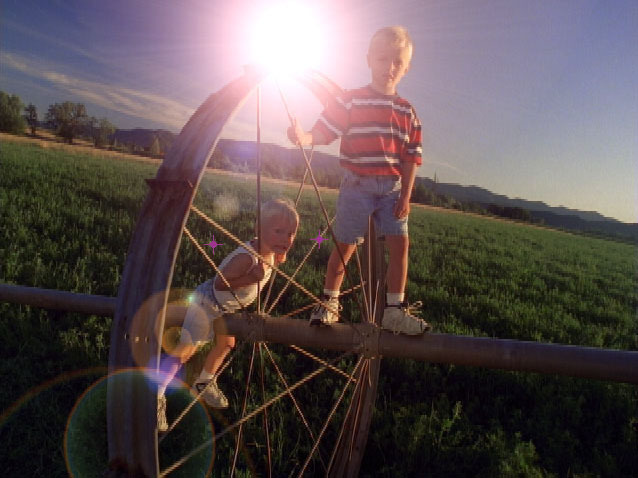 When you work with the BCC Lens Flare Advanced filter, each element of the flare effect includes its own controls, so this menu does not appear. If you apply the filter to a source that uses alpha, you will not see the background image composed with the source image through the alpha channel. To see the composition, choose the background layer from the Lens Flare Background Map Layer menu. Preserve Alpha determines how the lens flare uses alpha channel information. With Preserve Alpha set to 0, a lens flare does not appear in areas governed by the alpha channel (in other words the effect has zero opacity in alpha areas), with the Preserve Alpha parameter set to 100, the effect is 100% opaque over the alpha channel. Warning: If your source image includes an alpha channel (for example a logo over a background image), in order to see the the background image composited with the source image, you need to set a background layer in the Lens FlareBackground Map Layer menu.